Sarah Palin for President 2012. There is a movement “aborning” to support Sarah Palin for President in 2012. At first glance it would seem too early to consider supporting anyone this far out from the election in 2012. But, since the Clintons introduced America to the “Never-Ending Campaign for President”, some feel conservatives had better go ahead, right now, and get the ball rolling. Go over and take a look. Leave a comment, if you like, and if you have a blogsite of your own, you are invited to link to the Vote for Sarah site and alert others to its existence. It is said that small increments of time (such as weeks or months) in politics, is a lifetime. That may be, and, certainly, much can, and does, happen in the world of politics… even in hours. With the current election “seemingly” already decided in favor of Obama, and, taking into consideration the dastardly way conservatives have been treated by the GOP in this election cycle, more and more conservatives are looking for a future candidate they can get behind early and, in doing so, serve notice on the GOP that their support (conservative support) is going to THAT candidate… and if… IF… the GOP wishes to have any support from Conservative voters… then the GOP will have to follow the conservative lead, or… just get out of the way. Now, as a conservative, myself, I am not deceiving myself by believing the GOP will actually wake-up and see the error(s) of their way(s). See, I don’t think the GOP, in their minds, made an error! I think the GOP set out, from the very beginning in this election, to discard the conservative wing of their party and push McCain through with the belief, the conviction, if you will, that they could win this election with the support of only liberal and moderate republicans, plus the independent voters. That move was doomed to failure right from the start. But, the oh, so intelligent elite, in the Republican Party, wanted their party back, and now… they have it… for what it is worth. For 46 years I have voted a conservative ballot. My belief in conservative values has not changed one iota in all that time. I have seen the GOP win when they placed those conservative values first and foremost in their candidate and their campaigns. But it is clear that since 1994 the elite in the GOP have been gnashing their teeth at the mention of “conservatives” in what they truly believe is THEIR party. No matter that their liberal and moderate values had kept the republicans on the backbenches in both houses of the Congress for decades. Apparently, they liked it there… for they sure as heck seem to be bound and determined to return to those same backbenches ASAP. Rejection is a difficult thing for the human animal to deal with. Some are just overwhelmed by it. Others become depressed and wallow in that depression, while others accept it for what it is, choose not to dwell upon it, and move on continuing to strive for bigger and better things. I sincerely hope the bulk of conservatives will accept the GOP rejection of our values and move on to form our own political party, separate from the Republicans, into which we can pour our energies and our collective talents in an effort to build a better America. There is a lot of dejection in the ranks of the Republican Party these days. As the rank and file of the GOP looks at the disparaging poll numbers the fear is growing that McCain will not be able to close the gap on Obama before Election Day. Conservatives, never happy with, nor ever quite sure of McCain’s chances in the first place, yet willing to hold their noses and cast a ballot for him in a desperate attempt to thwart the leftist agenda Obama will carry with him into the Oval Office, are the MOST discouraged, it seems to me. Since the 2000 election campaign, we here at IoF have declared that John McCain will never be President of the United States. We still believe that. Conservative voters have been loath to support the McCain ticket. Without the support of conservatives a GOP candidate can forget victory in a Presidential campaign. Without that conservative support there is no “fire” in the campaign. The fighting spirit, which rests almost entirely with conservatives on the right, simply is not there. You cannot have missed the lack of zest and zeal in the McCain Campaign. You don’t see it because… it isn’t there. Even those conservatives who have vowed to support McCain after he brought Palin on board have withheld total commitment. Their heart is just not in it. Since day one of the campaign for the oval office 2008 conservatives have scratched their collective heads in wonderment at the candidates the GOP wheeled out for our inspection. At first, we thought it was a bad joke. Then, it was rumored that the upper echelons in the party were saying they didn’t need conservative support to win the White House. We KNEW the party was in serious trouble at that moment. There has been a tug of war within the GOP since the conservative take-over in the mid 1990’s. The resentment of the bluebloods and the country club Republicans toward the K-Mart Republicans has been palpable. You see… we conservatives are something of an embarrassment to them. For the most part they are the moderate to liberal branch of the GOP. (Oh, yes. Just as there are conservative democrats there are liberal republicans.) Unfortunately, the liberal republicans carry with them that “liberal guilt” just the same as their democrat counterparts. I am of the opinion there is nothing so dangerous to the country as liberal guilt no matter if the liberal is republican or democrat. On the other side of the political spectrum the democrat party is not really a “party”. It is more an amalgamation of victim’s groups, bound together in their perceived victimhood, seeking redress from the government. They have been thus for a very long time and, in that time, have forged a bond between them in order to attain their goals. It is quite different in the GOP. In the Republican Party, the differences between the two main groups, the liberals and the conservatives, is much wider… and… that gap can never be closed… even temporarily in order to secure victory. Conservatives can never compromise their core beliefs. Even an attempt is doomed to failure. The instant conservatives make an attempt to compromise; they are no longer conservative. You can see the problem. And that, dear reader, is why I continue to call for a solely conservative political party. The infighting within the GOP is not going to cease until conservatives leave. Of course, the moment conservatives DO leave; the GOP will be relegated to the backbenches in Congress for a hundred years, or more. The McCain Campaign has been a lost cause from the beginning. Apparently McCain thought he could replace conservative support with the support of Independent voters. That was never very likely because such a large percentage of independent voters are conservative voters who, for one reason or the other, left the two dominant political parties. No matter who chose that course, McCain or his advisors, in my opinion, it was unwise and it may well cost him this election. In the long run, however, conservatives may benefit from the GOP loss in November. There is a major firestorm coming, nationally and internationally. There will be epiphanies by the bundles landing on the doorsteps of naïve American voters in the next few years. The cost of living in the US is going to skyrocket upwards along with taxes and new laws and regulations the likes of which we have never seen before. Add to that the spread of Islamofacism and the accompanying wars and rumors of wars and the ever-increasing drain on our treasury to fight those wars, here at home as well as in foreign lands, and you begin to get the picture. Conservatives have been warning of the multitude of festering boils about to erupt but… nobody wanted to listen. In a few months reality will set in and with it a slow awakening. By then, of course, the US Ship of State will have sailed and like any ship it will take an interminably long time to turn it around and set it’s course aright. If, and it is a big “IF”, we are able to overcome what is headed our way, and begin a successful program of reconstruction, the country may find it necessary to turn to conservative leadership in order to rebuild the country and rehabilitate what will surely be a decimated military and a dispirited citizenry. For a number of years now, decades even, there has been a growing sense, in the human psyche, that something dark and foreboding is on the threshold. I have felt it and now I sense its growing strength and it’s growing inevitability. In my opinion, there are extremely dark times ahead for America… just months ahead, in fact. We will be sorely tried, perhaps, as never before. What is even more troubling, to me, is my concern that we cannot turn back, nor can we influence what is about to happen. It is far too late. The dye is cast. Now we can only watch and wait and do whatever is necessary to survive as a nation. Why I Like Miss Sarah. 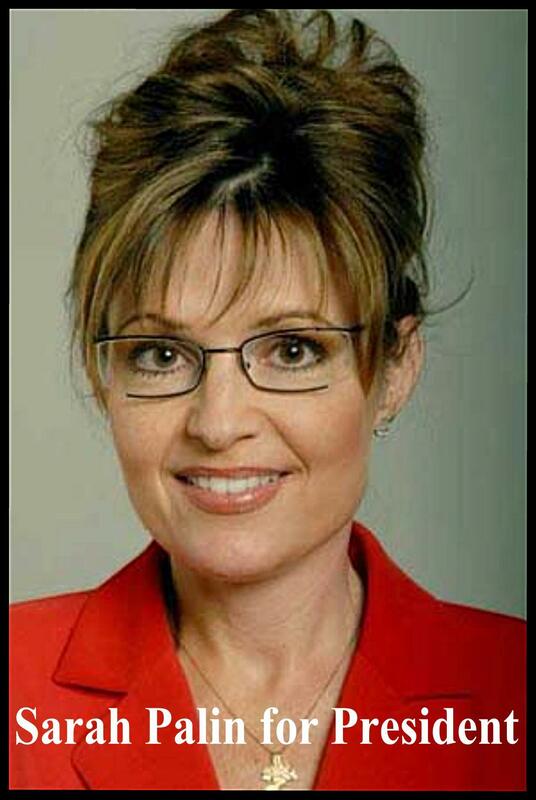 It’s no secret that I favor Ms. Sarah Palin for the next Vice-President of the US. Heck, I have her photo on my website. One look at that photo and you have to marvel at how our coldest state gave us our hottest governor! I ran across a column… no… let me re-state that… I went looking for the latest column by one of my favorite conservative writers the other day, Jefferson Weaver. Jeff is a Tar Heel, a conservative Tar Heel, and one I admire a great deal. His writings are always a joy to read because I know where he is coming from, not just philosophically, but physically, too. He’s a hunter and fisherman, enjoys the great outdoors, and knows how to enjoy and appreciate the natural wonders of this great state we share as our home, and… Jeff is a God-fearing southern man. Plus, Jeff’s politics, and mine, seem to run parallel to each other most of the time. His latest column is all about why Jeff likes Sarah Palin. As I mentally wolfed it down the other day, I realized we were on exactly the same beam. We both like Sarah… and for the same reasons. Not that that should come as a surprise to anyone, we are both conservatives… southern conservatives. We have pointed you to Jeff’s column on a couple of previous occasions and I hope to continue to do so in the future. But just for today, I’d like you to click on over to the address I’m about to give you and read what Jeff has written about why HE likes Sarah Palin. 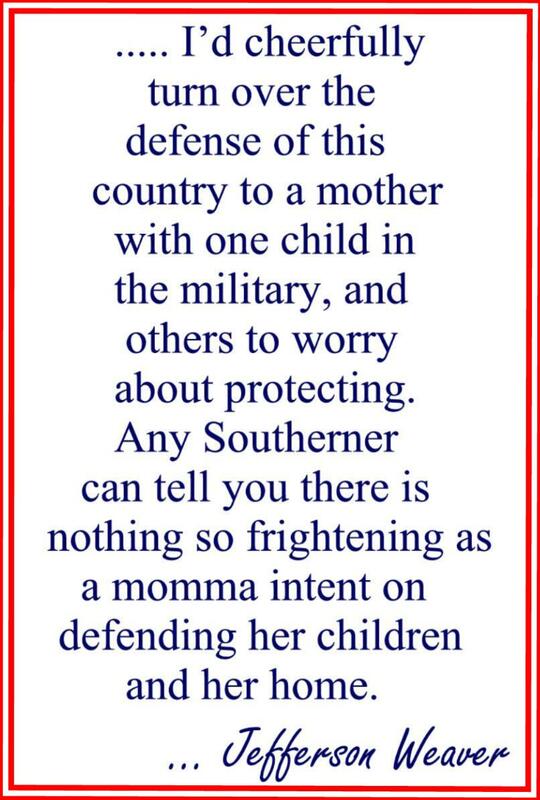 It eloquently sums up the southern conservative’s view of Miss Sarah. Maybe, just maybe, you will be able to understand why her entrance onto the national political stage came as a breath of fresh air to conservatives who, like me, were suffocating in the vacuum created by the l candidates the two major political parties had given us to choose from this time around. We conservatives were sick at heart. And that is putting it mildly. All kidding aside, Miss Sarah will do well here in the American South. I fully expect her, and her running mate, to do very well in November here in North Carolina. Truthfully, I want her to win, because I want to vote for her for President in 2012!